Injured in a Head-On Collision in St. Louis, MO? You are here: Home / Car Accident / Injured in a Head-On Collision in St. Louis, MO? Head-on accidents have a higher fatality rate than any other type of car crash. 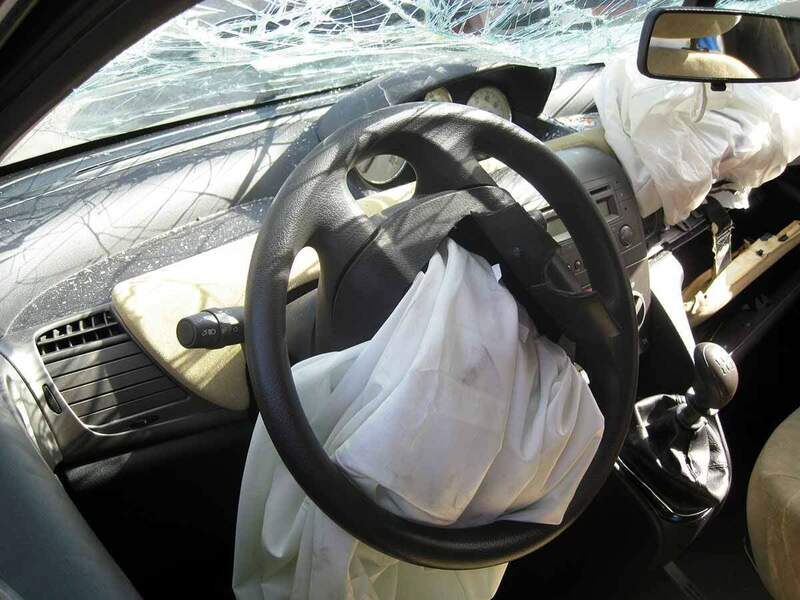 Head-on car accidents can result in devastating injuries. While any type of car accident can be dangerous, a head on collision is particularly so, as it has a higher rate of fatalities than any other type of wreck. If you or a loved one have suffered severe injuries or death as a result of a head-on accident, you no doubt have many questions and concerns. Medical bills and other expenses quickly add up, leaving you with a terrible burden. Losing your ability to work or losing the income of a spouse or parent can have a devastating effect. A head-on collision is a type of traffic accident where the front ends of two vehicles hit each other while going in opposite directions. It is one of the most frightening types of accidents a person may be involved in. Passing on a two-lane road – When a driver has limited sight but decides to pass a slower moving vehicle, a head-on accident can occur. Distracted driving – When a driver engages in texting, talking on the phone, eating, or any other type of distraction, he or she may lose control of their vehicle and swerve into oncoming traffic. Driving while intoxicated or under the influence – When a person is driving while drunk or under the influence of another substance, driving the wrong way or reckless driving can result in a head-on accident. Hazardous road conditions – A driver may swerve to avoid hitting a road hazard such as a pothole, animal, or debris. If you have been involved in a wrong-way accident, you may be facing a wide variety of medical expenses and other challenges. That is why it is important to have an experienced car accident lawyer fighting for you. At The Hoffmann Law Firm, L.L.C., we will review your case and work to get you the most compensation possible. Recovering from any of these injuries may leave you with medical bill, lost wages, or loss of working ability. Being involved in a head-on car accident can be a terrifying and potentially life-altering experience. If you or a loved one have been involved in such an accident, please call us today to discuss your case. For more than 20 years, we have been helping victims of severe auto accidents receive compensation for their injuries.